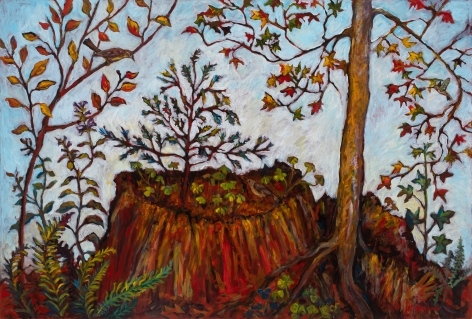 Kim Osgood broadens her observations of trees in Tree Lessons, especially exploring what is known as the Sacred Tree. 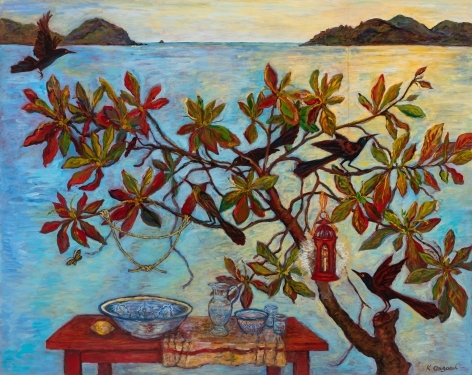 Through her travels around the world and her studies in Buddhism, Hinduism, and Taoism, Kim delved into the nature of Sacred Trees in an effort towards a deeper cultural understanding. 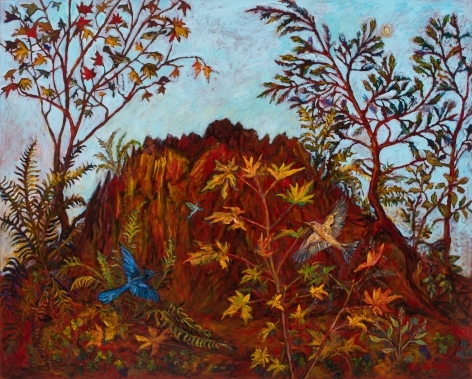 Coinciding with these travels, Kim takes her West Coast mountain climbing seriously, having been awarded the “16 Major NW Peaks” award with the Mazamas, a Portland climbing club, for successfully climbing the required list of summits. 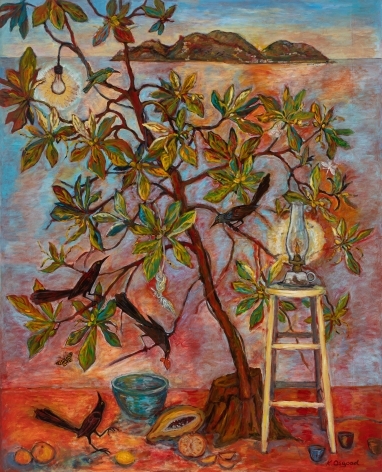 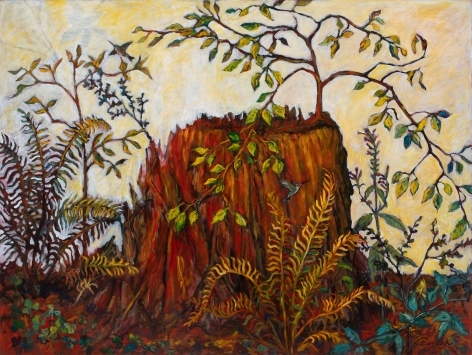 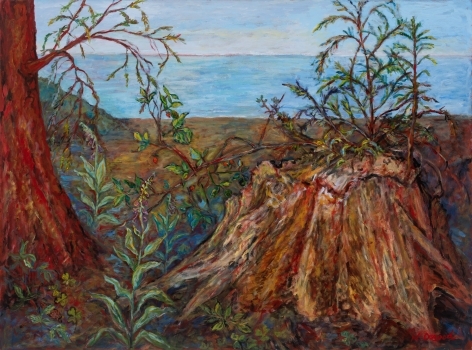 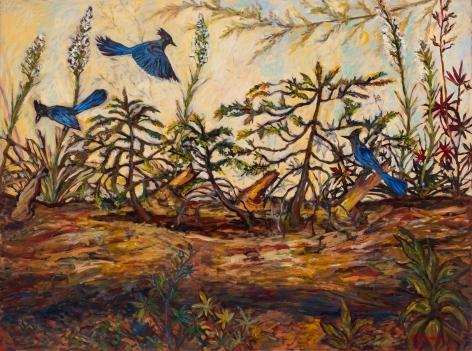 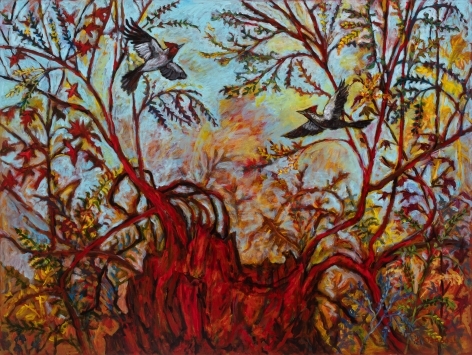 In her climbing, she became familiar with nurse stumps, described by foresters as “the life of the forest.” This exhibition features several examples of her interpretation of the nurse stump, rich in saturated color and lively wildlife. 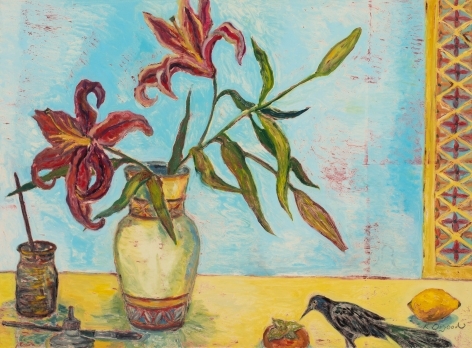 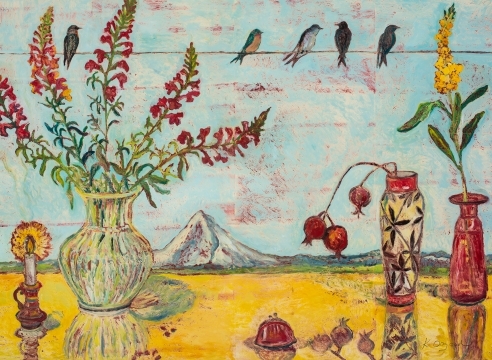 Osgood’s lively one-of-a-kind monotype prints overflow with playful and appealing elements portraying familiar imagery of birds, flora, and fauna, and domestic elements. 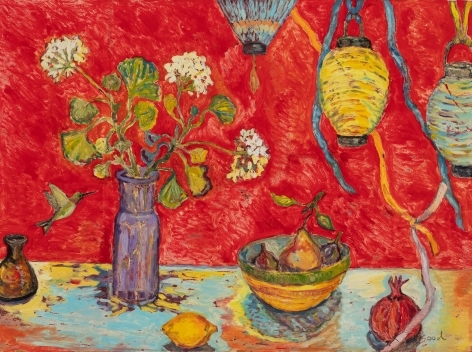 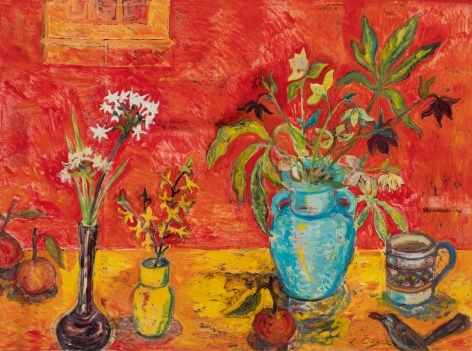 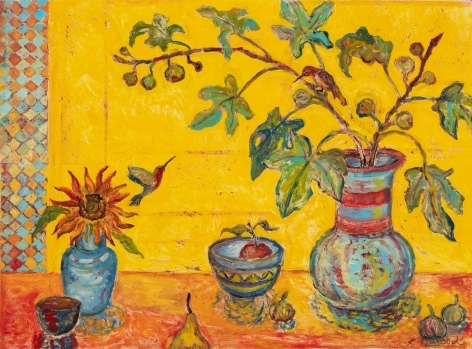 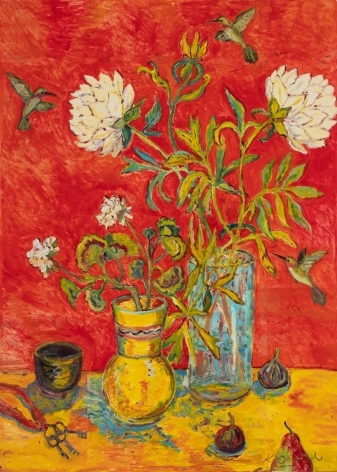 Unique compositional juxtapositions and a rich palette of background colors ranging from deep reds and golds to quieter, transparent creams and warm white lend an irresistible vivacity apparent in a celebration and elevation of the common object.